Fabulous Frogger: Time is flying by!! It's almost mid-month....I can't believe it!! All my cross stitching plans for this month seem to be falling apart. I have most of the blue portion of her dress complete...so it's mainly just the white lacy part left to do!! Coral hasn't budged since my last update :( My plan is to focus on that piece all next week. I have to go out of town for work, which hopefully means some downtime in my hotel room in the evenings.....perfect for stitching! Lesson learned - Don't make grand stitching plans during the holidays!! Speaking of stitching plans....I created a page dedicated to my 2012 WIPocalypse plans. I'll probably end up adding/deleting what I have there.....mostly deleting! There's so many pieces I didn't put on there that I want to finish too!! Never enough time!! With so little stitching done on my part...what in the world have I been doing!? With having to go out of town next week, I wanted to get all of my Christmas gifts wrapped and shipped off to out of state friends and family. I even have all my non-shipping gifts wrapped and ready also!! 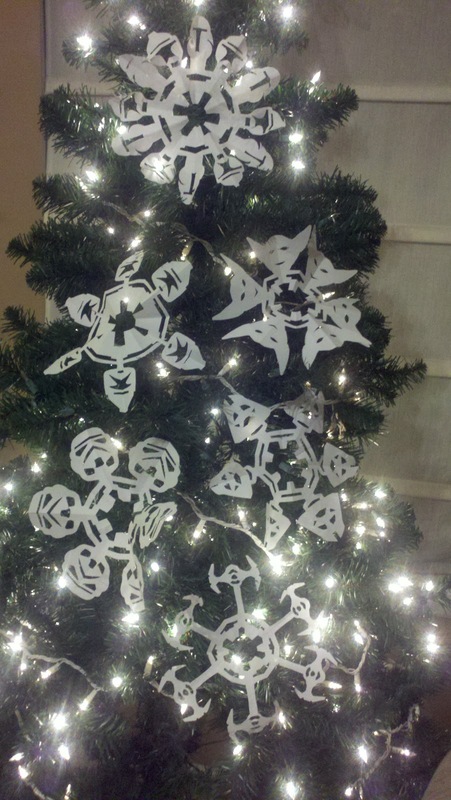 Star Wars snowflakes! :) Ok...my yoda snowflake looks a little off, but you get the idea, right? I hope all my fellow stitchy bloggers are doing well and enjoying this last month of the year!! It's so true that there is never enough time. Your angel is gorgeous. I love your star wars snowflakes. Your WIP is gorgeous. Keep up that beautiful work! Your WIPocalypse is CRAZY haha. Of course we all do that best don't we? My hubby and 13 year old son would LOVE those snowflakes. Great Job! wow your angel stitching is looking so beautiful..i love it so much...keep it up dear..
stars snowflakes are so sweet,. 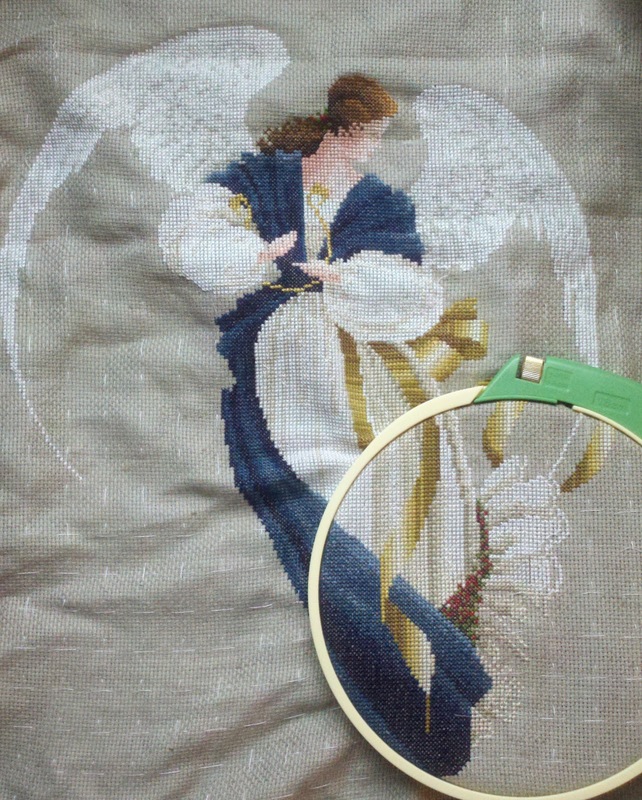 Your angel is looking stunning, keep up the beautiful stitching. And I hear you on the no time front, where does it all go? Mostly on Uni work for me :) Best wishes. LOVE the Star Wars snowflakes, did you invent them or did you find a pattern for them? Please tell me and make a 9 year old boy (and his 30something Uncle) very happy! LOVE the Star Wars snowflakes, did you invent them or did you find a pattern for them? Please tell me and make a 9 year old boy (and his 30something Uncle) very happy!